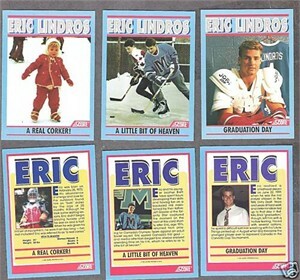 1991 Score set of 3 Eric Lindros promo hockey cards distributed in conjunction with his book Fire on Ice. NrMt-Mt or better. 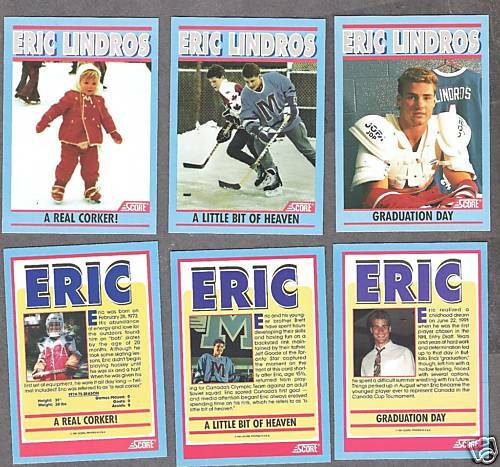 ONLY ONE SET AVAILABLE FOR SALE.